April 27: 5 POWER Lessons From 5 Leaders Who Made History On This DAY! The fact that hard work is the key to succeed is known to all. Despite knowing it, not all of us win even after striving hard to the fullest. To all such dreamers and budding achievers, here is the quick guide which reveals the ways walked by the past winners. Going through this piece will surely add onto to your aspirations to win and help you take the right route to success. Read on! Take a test which requires one quick and precise answer to decide how optimistic you are. Imagine a transparent glass tumbler which has water exactly at its half. Now this situation is handed over to your min completely. How would you interpret this setup? Do you say that the glass is half filled or does your mind say that it is half empty? Give it a thought to analyze what your inner conscience says; this decides your nature as an optimist or a pessimist. An optimist always highlights the fact that the glass is half filled with water. Not giving much importance to the rest which is empty, a positive mind respected and considered water to be a blessing and hence it felt the joy of the circumstance. Instead of grieving and complaining about what is not there, concentrate on how you can make use of what is already there. This doesn’t just enable prosperity to land but also stimulates our mindsets and thought processes to bring in more and more happiness, progress and contentment. 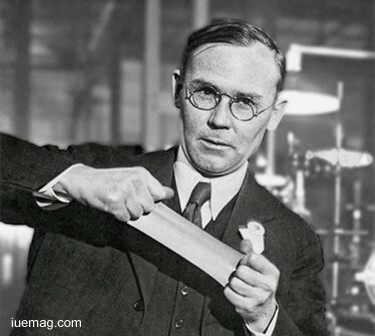 Transforming all that was around him into media that channelized him towards success, Wallace H. Carothers headed towards success. The American chemist, who was the inventor and the leader of organic chemistry, also invented nylon. The troubles that his frequent depressions gave him was never hindered his growth in anyway. In fact, he challenged himself to reveal his potential to the world. When the waters from the oceans and large water bodies are drawn into clouds by the heat of the sun, these huge water banks wait for the return of every drop of lost water with a thick ray of hope and a strong positive attitude. And you know what? Their anticipation was paid when rains started pouring down. The water banks were back to their energy level which was expressed by the overflowing streams. Right things happen at right times. You got to wait for it! If there is no wait in our lives, then how can life be curious, exciting and practical? When things don’t go right and nothing falls in right place, remember to give it all some time. Time heals everything! Nature has planned everything much before you and this sequence can never be changed. 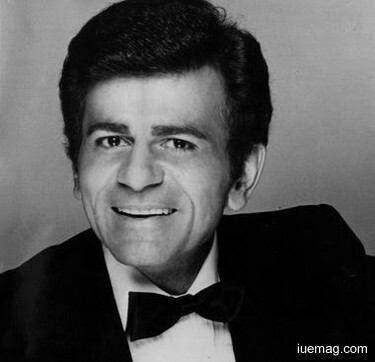 Casey Kasem implemented this lesson of not expecting but hoping; he stood as an inspiration to millions who wish to achieve. The American disc jockey was a music historian, radio personality, voice actor, actor and the list continues. He encapsulated his success life by co-founding the American Top 40 franchise. Obtaining a very healthy fame for hosting numerous music radio countdown programs, he optimized his wait process. Not confining to a particular domain, he spread his calibre to others as well. He voiced a lot of cartoon characters such as Robin in Super Friends, Mark on Battle of the Planets and many more. Every hard worker’s future is secured. Dedication, hope, real hunger to win and desire to succeed aligns your future right according to the line along an achiever’s path. The hardships you face and overcome, to gain something which you dream of, enable you to build your personality. Your persona shall become a guide for the society to follow. You will surely get what you desire. Deserving your desires is the true essence that makes up life. What is it that all of us lives for and work for? It is nothing other than success and victory. 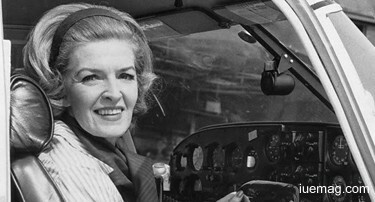 Sheila Scott was an English aviator who dealt with life and its happenings in a very sensitive manner which tenderly added acute positive flavors to the reality. Her mental stability and her way of approaching the ‘right’ in the right way destined success into her life. She stood as a brand ambassador for strength and broke over 100 aviation records through her long distance flight endeavors. The quick learner flew solo and added more weight age to her career by owning Thruxton Jackaroo. Her hunger to realize her potential never had an end. Known for being the first person to fly over the North Pole in a small aircraft, she completed her third solo round the world flight and still looked for opportunities. Not giving importance and place to anything that didn’t contribute to his growth he lit the channel that lead to success. The real essence of living life lies in not allowing the negative hindrances and inferiorities to de-catalyze the process of winning. Beautifying the art of saying ‘no’ to what has to be rejected, Edward Whymper inclined his journey completely towards positivism and helped achievements to reach him healthily. The English mountaineer, explorer, illustrator, and author was well known for the first ascent of the Matterhorn. Strengthening himself physically, psychologically and mentally, he rocked at every step that he took and nurtured every lesson which he obtained. The author of many mountaineering books contributed an important advance to Arctic exploration. Every morning when you get up, make it a habit to ask yourself, why you have waked that morning. Respect every single day that is added to you span of life. See what better and what special can you learn, do and win every day. You and the world will cherish your thoughts and attempts only if they are impactful. So in order to create a way of positive change, you got to focus, think and act. Many times, our focus deteriorates and energy fades when we reach the near finals of the race to win our victory; the contrasting nature forms the achiever’s character. Torch your destination; let the path to your destination be clearly visible to you. This helps your attempts to purely traverse the path and huge the treasure of success. 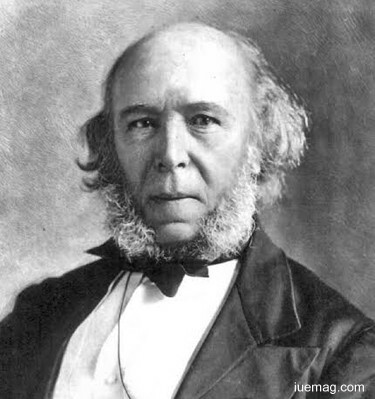 Herbert Spencer, an English philosopher, biologist, anthropologist, sociologist, and prominent classical liberal political theorist used his concentration, decisiveness and spirit to fertilize his life purpose. He developed an all-embracing conception of evolution which contributed immensely for progress to land. His self-esteem, confidence and faith in himself and on his work made him achieve all that he wanted to. 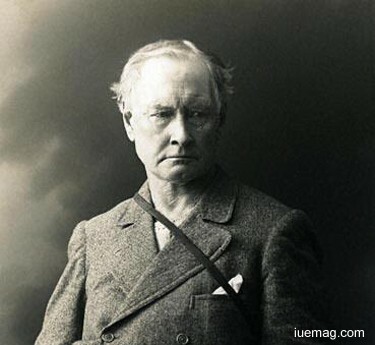 The polymath stood as the solo most famous European intellectual. His high influencing power seeded abilities and capabilities into his mind which took him forward in life. We’ve just got one life; this journey seems too short for it to give us all that we need. So, now is time to do our part to take what we want rather than waiting for our lives to give us. Never hesitate to go, run and take part in the race. Don’t forget that winner’s tag is all yours. Any facts, figures or references stated here are made by the author & don't reflect the endorsement of iU at all times unless otherwise drafted by official staff at iU. This article was first published here on 27th April 2017.